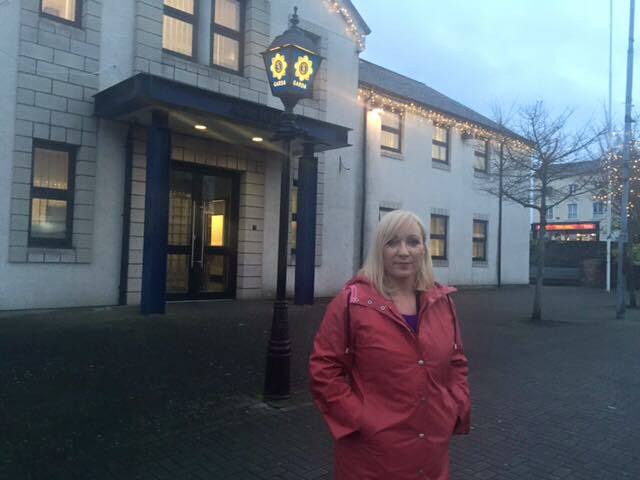 Kildare South, Fine Gael, General Election candidate, Fiona McLoughlin Healy has called on the Garda Commissioner, Noirin O’Sullivan to urgently deal with the problem of low Garda numbers in Co. Kildare. Speaking this week from her constituency office in Newbridge, Co. Kildare she said, “in light of the recent gangland style shootings in Dublin the eyes of the media have been drawn to the capital and everyone is talking about how more Gardai are required for the city. Sadly, the reality is that Dublin is not alone when it comes to incidences of serious crime and cases outside the city remain largely unreported by the national media but the fact remains that serious crime is on the rise in Co. Kildare.” In her letter to the Commissioner she pointed out that there had been shootings in the last few week in Athy and Newbridge and that burglaries and assaults were on the rise. She also said that Kildare has seen a substantial increase in its population over the last ten to fifteen years. However, the allocation of Gardaí to the division has fallen way short of what is required, or even to bring it up to the national average. A particularly viscous attack took place three weeks ago on a young woman who was attacked on the Station Road in Newbridge Co. Kildare by a man wielding a screwdriver. Fiona visited the woman at her home after the attack and said, “The woman in question sustained injuries to her face and is extremely traumatised as a result of the incident. This vicious attack happened just a few hundred metres from the woman’s home.